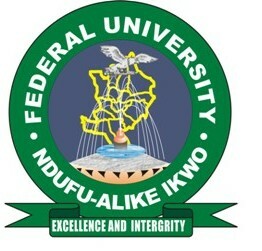 The National Universities Commission (NUC) has granted Full Accreditation Status to 26 academic programmes in Alex Ekwueme Federal University, Ndufu-Alike, Ikwo (AE-FUNAI). In line with the avowed commitment of the Vice-Chancellor of Alex Ekwueme Federal University Ndufu-Alike, Ebonyi State, Professor Chinedum Nwajiuba, to ensure that all academic programmes of the institution has full accreditation before the expiration of his tenure; the University recently hosted the National Universities Commission’s accreditation panels who were on hand to assess its programmes. During the visits which started on Monday, 22nd October and ended on Wednesday, 14th November, 2018, the University presented 28 programmes for accreditation. They include Accounting, Business Administration, English Language, History, Music, French, Igbo and Philosophy. Others were Anatomy, Fine and Applied Arts, Chemical Engineering, Electrical/Electronic Engineering, Mechanical Engineering, Mechatronics Engineering and Civil Engineering. Among the programmes that were also presented for accreditation were Applied Geo-Physics, Biochemistry, Biology, Chemistry, Mathematics, Physics, Economics, Political Science, Psychology, Sociology, Mass Communication, Criminology and Security Studies. The Result of the accreditation exercise which was released recently by the National Universities Commission (NUC) shows that 26 of the programmes received full accreditation status while Mechanical Engineering and Mechatronics Engineering had interim accreditation. This rare and historic achievement is arguably a first of its kind in the history of Nigerian University system. It is also a bold testament to the commitment and determination of the Nwajiuba’s administration in its drive to reposition the University to meet global academic best practices. The feat is made more poignant taking into cognizance of the fact that 17 of the fully accredited programmes had interim status before the arrival of the Vice-Chancellor in 2016, which means that the programmes would have been closed if not for the extra-ordinary feat. The historic achievement is not surprising as the NUC accreditation panels had during their visit to the University commended the Vice-Chancellor for the massive Improvement in the institution’s infrastructure and academic activities as well as in the provision of critical teaching and learning equipment compared to what were obtainable when the commission visited two years ago. They maintained that the University had made bold steps in the various programmes presented for accreditation and urged Professor Nwajiuba and his team to sustain the tempo, as academic excellence is not a destination but an on-going process. While expressing his profound happiness on the good news in his office, the Vice-Chancellor, stated that accreditation exercise was an important peer review and quality assurance process for the University which is meant to help it improve the quality of its academic activities, not only to meet the minimum benchmark set by the NUC but also meet global best practices. He further explained that the university was doing its best in the area of quality assurance, noting that a directorate has been created in that regard. He also assured the University stakeholders, especially students of the two programmes that had interim accreditation that he would not rest on his oars until the needful was done. He maintained that all necessary academic facilities, equipment and staffing would be put in place to ensure that both Mechanical and Mechatronics Engineering Programmes receive NUC full accreditation in 2020. This cheering news underscores the fact that true and astute leadership is all about solving problems and creating opportunities for excellence.